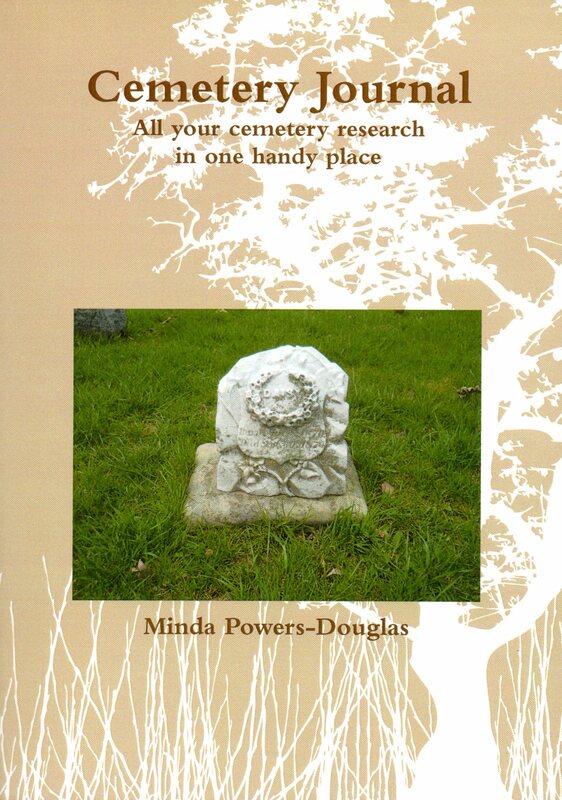 Minda Powers-Douglas, the author of a number of cemetery books, is also the founder and editor of TheCemeteryClub.com and Epitaphs magazine. She loves getting more and more people into our cemeteries “before they absolutely have to.” She also loves learning about the past, preparing her young daughter for the future, and sharing her interests with the world. 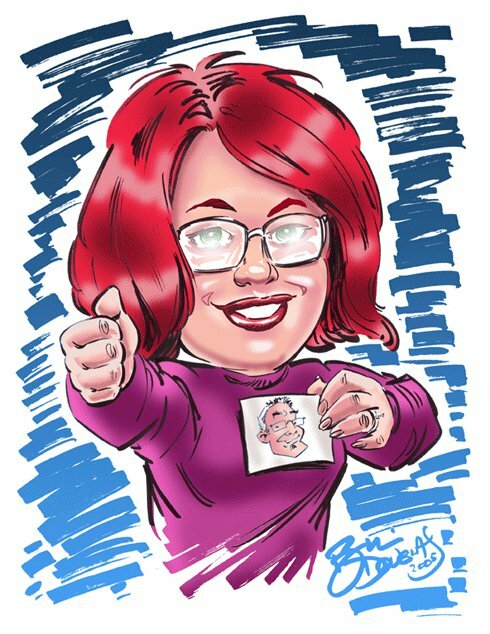 She lives in Moline, Illinois with her husband — artist Bill Douglas — and daughter Bella. Cemetery Travel: What’s the philosophy behind TheCemeteryClub.com? Minda Powers-Douglas: Its purpose is to connect people who love cemeteries. It’s also to encourage people to visit cemeteries and look at them in different ways: as historic parks, arboretums, etc. Cemetery Travel: How is the Facebook group an extension of that? Minda Powers-Douglas: The Cemetery Club FB group really allows people to connect in real time. It went from a group where I could push out information about my site, my books, and my events to a highly interactive group where people feel compelled to share their photos and experiences. Since to many of us live far away from each other, it gives us a virtual way to connect with like-minded taphophiles. Minda Powers-Douglas: I’ve always been interested in cemeteries. My mom got me interested in them. She used to take me to cemeteries when I was a child and showed them to me as places of interest rather than sadness or fear. It took me a while to realize that I wanted to write about them. Then everything clicked into place. Minda Powers-Douglas: Yes, I am a taphophile. It’s a weird word, but many of us have embraced it. And my love for cemeteries? I call it awesome. LOL! Actually, it’s just part of who I am. I don’t really have a special name for it. Taphophilia just sounds creepy. Cemetery Travel: What’s your favorite cemetery in the world – and why? Minda Powers-Douglas: Gosh, this changes with the most recent favorite. My two local favorites are Chippiannock Cemetery in Rock Island, Illinois (the book she wrote about it is available on Amazon: Chippiannock Cemetery (Images of America) ) and Oakdale Memorial Gardens in Davenport, Iowa, where I do a lot of volunteer work and presentations. I love New Orleans cemeteries. I now have a very special place in my heart for Bonaventure in Savannah, though. I visited for the first time this past March. It is absolutely amazing. I can’t wait to go back. Minda Powers-Douglas: It’s too hard to choose just one. My top three: Mount Auburn in Cambridge, Massachusetts; Hollywood Forever in L.A.; and Pere Lachaise in Paris. Minda Powers-Douglas: Visit it often. Make your presence known. Bring your friends and family. Bring your kids and teach them about the importance of our cemeteries. Simple things, like picking up trash while you’re wandering the grounds, are easy to do. Volunteer. Help them money by doing community programs. Create awareness. Research it and share your findings. Put it on the map and keep it there. Minda Powers-Douglas: They are our history. They represent who we were, who we are. They are filled with art, history, nature, crazy names, places to walk or run. Cemeteries are definitely worth our time. 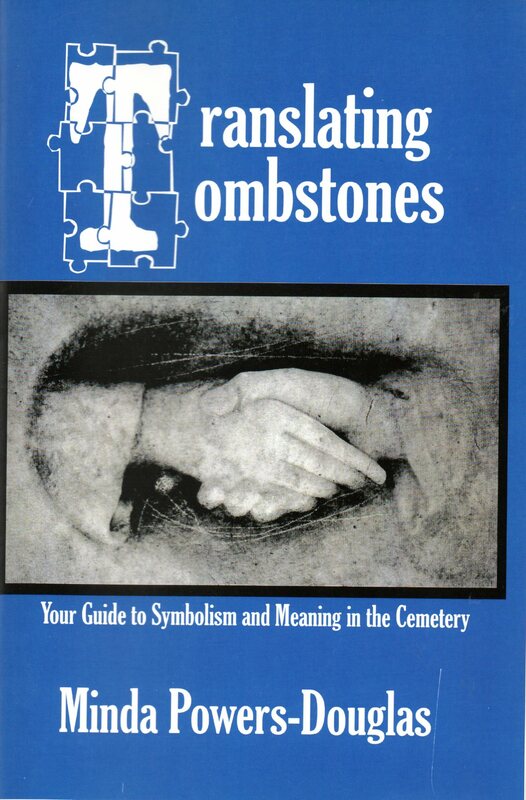 Cemetery Travel: Do you have any more cemetery books coming up? Minda Powers-Douglas: I have a couple books in the works, but time is not on their side right now. My daughter started kindergarten this year, I’ve become her school’s Daisy Girl Scout leader, and my day job is pretty demanding. Keeping up with the site is challenging enough. I’ll keep working away, though. The books will come in due time. One of them, focusing on women in history, will require a lot of travel. Which I’m looking forward to, when the time comes. Minda’s most recent books are available on Amazon. 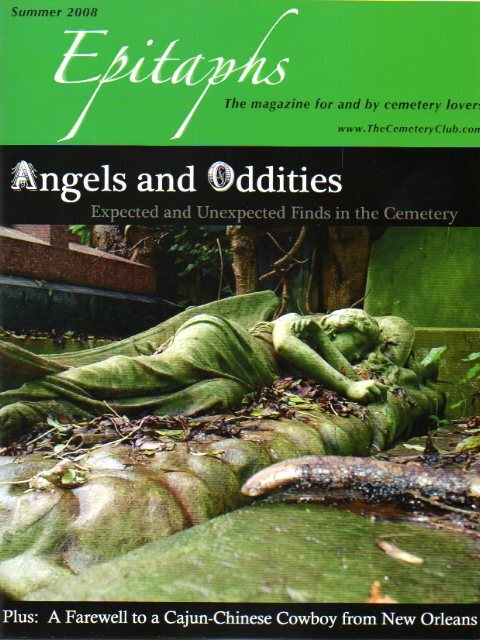 More of Minda’s books and back issues of Epitaphs magazine are available through her store on lulu.com. Follow her on twitter @cemeteryminda. Come join The Cemetery Club on Facebook. This entry was posted in Cemetery interview and tagged cemetery books, cemetery club, Minda Powers-Douglas. Bookmark the permalink. Good interview! Thanks for the FB link to The Cemetery Club. Jonell, are you on Facebook? We should link up! “I was here, I was loved, and I made a difference.” Beautifully said! Visiting the graves of my extended family (including my 3rd great grandfather) in Newfield, New York was an incredible experience for me. Knowing that I was related in some way to just about everyone in that small cemetery made me feel very small and insignificant. But I was so overwhelmed, I had to write a book about it. I’m going to put it out one of these days! It’s up over 1700 pages in 2 volumes at this point. I’m hoping my old dinosaur computer can limp along just long enough for me to finish it!